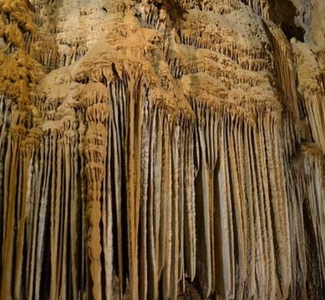 A visit to Lake Shasta Caverns is far more than just an exciting exploration of nature's underground magic. It begins with a 15-minute catamaran cruise across Lake Shasta's sky-blue waters. Once ashore a comfortable bus will carry you up the mountain, more than 800 feet above the lake. At the cave entrance your underground adventure begins with a guided tour, you will discover the history and geology of this natural wonder. Open year around.